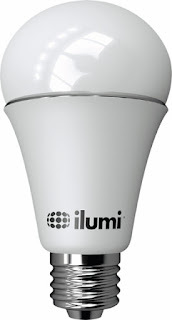 Check out this ilumi - A19 Bluetooth LED Smartbulb - Multicolor for $34.99 (Retail $49.99). ilumi A19 LED Smartbulb: Achieve the lighting you desire in your home with this smart light bulb, which connects to your compatible Bluetooth-enabled device via an app to allow dimming control and simple adjustments. With a range of warm and cool color temperatures, the bulb helps you achieve the ideal conditions.